Terrible Titles; or, What’s in a Name? Titles are important – and it can be very hard to come up with a good one. There are simple descriptive ones: The Sopranos, Anna Karenina, Tristram Shandy. They get the job done, but are not exciting in themselves. There are titles that tie a series together, as with the late, great Sue Grafton’s alphabet series. 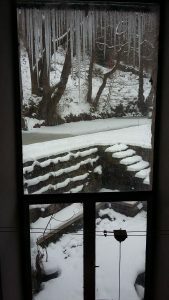 There are evocative titles: The Wind in the Willows, Snow Falling on Cedars, Tender is the Night. And there are also terrible titles: Ruth Rendell wrote an excellent novel with the title, The Face of Trespass. What does that even mean – as my children say – and what were the publishers thinking? 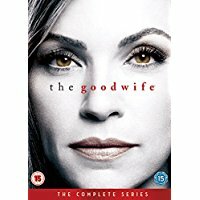 Readers might not be aware that though the writer is consulted about the title, they do not have the final say (and it’s the same with the cover). Publishers sometimes give novels different titles in different countries, which can be confusing. This happened with my first novel, which was published as Dead Letters in the UK. My American publishers didn’t care for the title and asked for some suggestions. Among other titles I put forward Murder is Academic (not altogether seriously, if I am honest) and was taken aback when that was the one they chose. 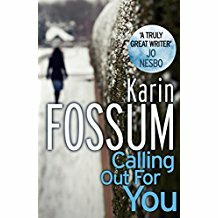 Recently we picked a novel by Karin Fossum for our book group. 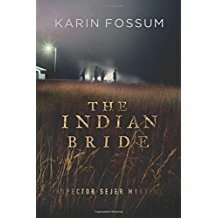 When I got home, I couldn’t find The Indian Bride on-line. That’s because it is the US title. In the UK it’s Calling Out For You, which I think is better for a crime novel (it has a different cover, too). Titles are on my mind at the moment because I’ve been trying to think of a working title for my next novel. I can’t go on calling it Novel Number 7. It’s like calling a baby Child Number 7. I read somewhere that The Pigeon Tunnel was a working title that John Le Carré regularly used, until he finally used it for real. With me working titles tend to stick, so I’m keen to find something resonant. And besides once a novel has a title it starts to develop an identity. What puts you off in a title and what attracts you? Over to you for examples of titles that you love – or hate. I love my book group. It is one of a number attached to Sheffield University and as well as a core of longstanding members, we also have a shifting membership of visiting academics and postgrads. Just to mention a few nationalities, we have or have had in the group women from France, Ireland, Italy, Germany, Norway, the Netherlands, the USA, Ghana, Mexico, Columbia, Japan, and South Korea. We always ask visitors to suggest novels from their own country and have had some fascinating reads as a result (and also some delicious food when they have hosted the group). A friend who doesn’t belong to a book group says that she wouldn’t like not having a choice about what she reads. I see that. For me, though, that is the part of the point. If it wasn’t for the book group I’d probably be subsisting on a diet exclusively of crime fiction with the odd rereading of Trollope or Jane Austen thrown in. Nothing wrong with that, exactly, but I feel it is a good thing to read more widely and encounter books I wouldn’t otherwise have known about. Ones that have stayed my memory are Patrick Modiano’s Rue des Boutiques obscures, Orphan Pamuk’s The Museum of Innocence, and Taichi Yamada’s Strangers, an extraordinary Japanese ghost story. 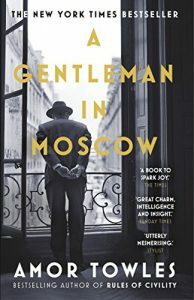 And another example is our current read, A Gentleman in Moscow, by Amor Towles, which I absolutely adore, though I doubt I would have picked it up in a bookshop. So: a good book, good company, and a glass of wine. A highlight of the month and an essential part of my reading life. What about you? Do you belong to a book group? Any particularly memorable reads?